Racing sidecars on speedway involves a rider and a passenger mounted on a 1000cc purpose built, three-wheeled sidecar outfit. The passenger of the machine is as much involved in the race performance as the rider. The two members of the sidecar crew work in unison to ride the outfit as best they can. 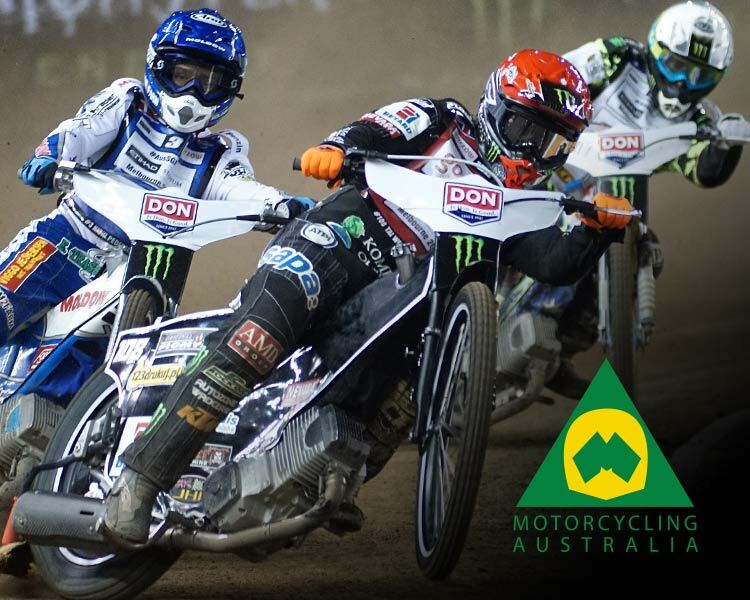 Speedway circuits are a loose shale surface and therefore traction is all important. The passenger plays a major part in controlling the amount of traction being created on the rear wheel. He does so by moving his weight forwards, backwards and sideways (either into or out of the machine). The outfit only ever turns right so the passenger only finds himself on the right hand side of the outfit. Sidecar speedway is much less popular than conventional speedway, though by no means less spectacular (in a survey of speedway fans taken during the 1970s, Sidecars were actually voted as the most popular class – which included car racing – in Australian speedway). Like conventional speedway, the machines are equipped with no brakes or traction control systems. However, they are powered by huge 1000cc engines, taken from roadrace superbikes. Therefore, power output can be anything up to 180 bhp and top speeds can reach up to 80 mph. 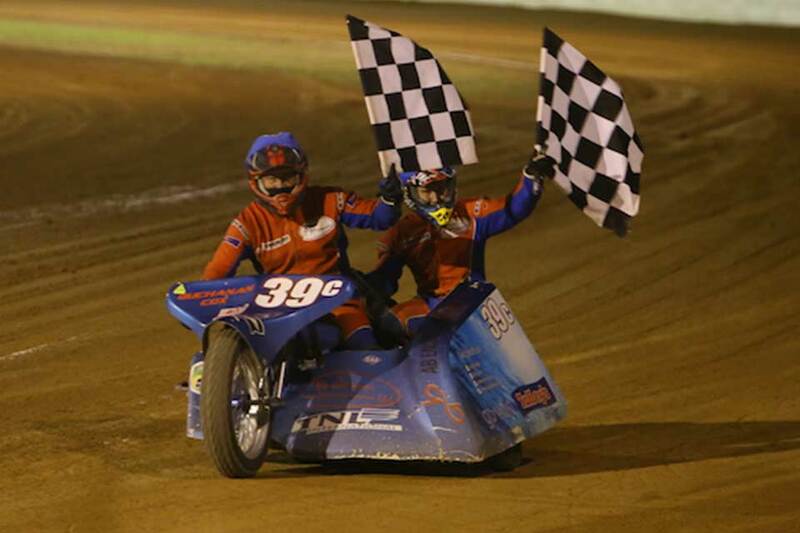 Sidecar speedway is also very similar to sidecar Grasstrack and many crews race both disciplines. For example, the 2007 British Sidecar Speedway Champions Gary Jackson and Carl Blyth are also regular competitors in Grasstrack racing, Jackson being a former British Grasstrack champion himself. 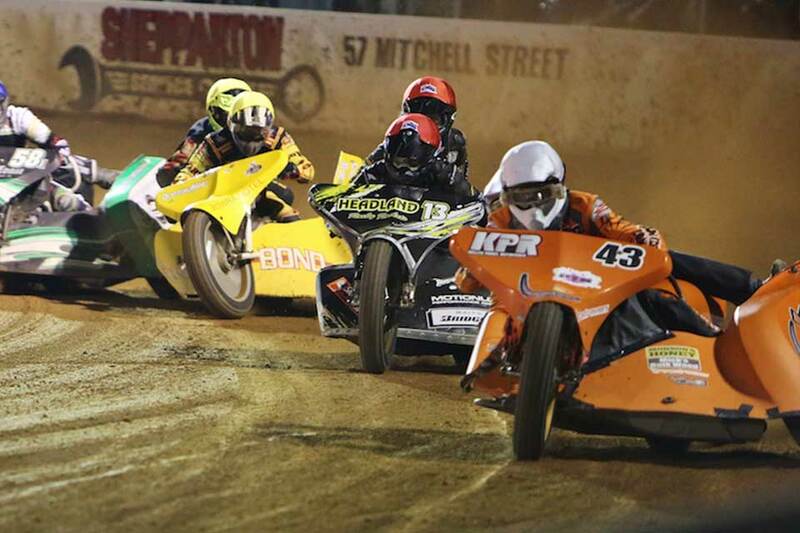 One main difference between sidecar speedway and more conventional speedway is the rule of contact. 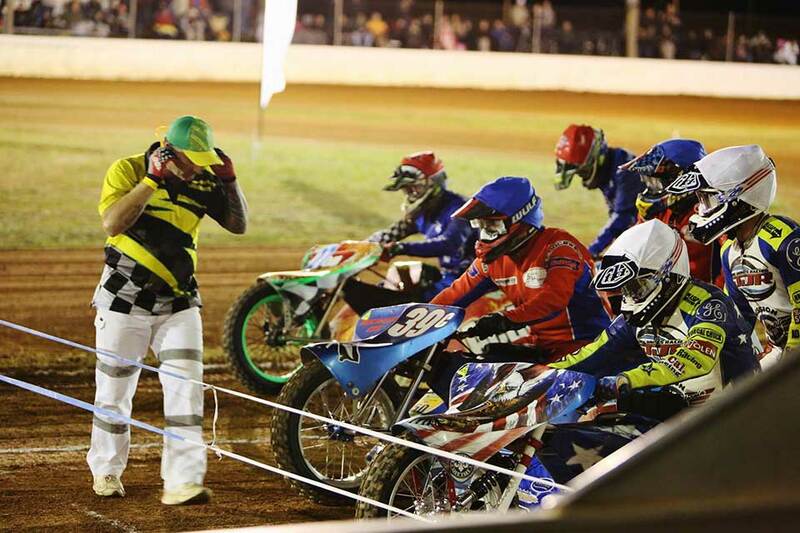 In solo speedway, any contact is strictly forbidden, and this rule is enforced strongly by referees. However, due to the nature of sidecar speedway outfits being much larger, contact is inevitable between machines. Although if a machine is deemed to take an advantage by ‘barging’ another competitor off the racing line whilst ‘under power’, then they may be excluded. This rule is very difficult to judge and enforce and therefore is often the cause of controversy. Running off the racing circuit (surprisingly easy on a machine that will only turn right). Touching or breaking the starting tapes when under starters orders (again, easily done with a clutch holding back 180 bhp). Being unable to make the start within a 3-minute time allowance.